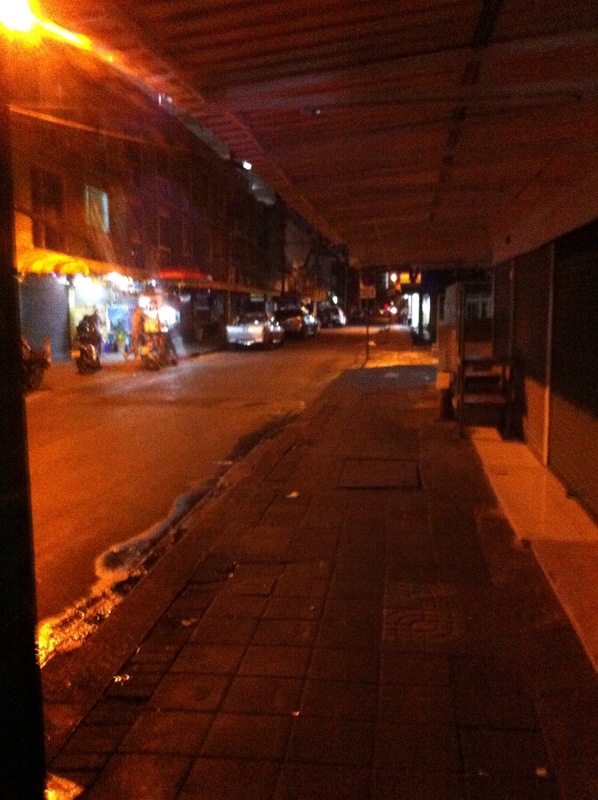 7pm, 1 January: what is normally a hustling and bustling street is deserted. No street food, shops closed, even the rats appear to be having a lie in. The long holiday for New Years meant many street food venders and shopkeepers closed up and headed back to their hometown- perfect time for a long walk and pretending it’s zombie apocalypse time in the BKK. It’s fun to see Bangkok in a deserted state. This entry was posted in photographs, Sightseeing and tagged deserted bangkok. Bookmark the permalink.